InVision, the fast-growing collaborative design software platform, wants to change how we create and experience great design. Part of that goal is changing the event marketing game by crafting event experiences that live up to the expectations of InVision’s innovative and design-forward audience. In Alexander’s two years at InVision, the company has grown considerably, and its event marketing calendar has grown at a matching rate. Alexander’s job involves a lot of coordinating and attention to detail, all while keeping sight of the overall goal of representing InVision’s brand and products. She’s usually planning for around 12 events a month, on average. 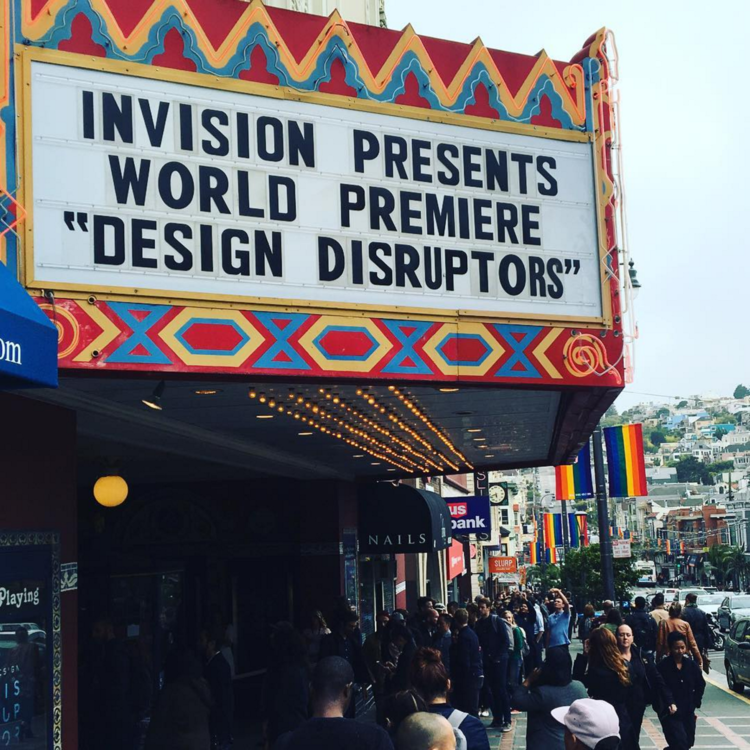 When special projects come down the line, however, that number can grow quickly, such as when she took on organizing international premieres for InVision’s groundbreaking documentary film Design Disruptors this summer. 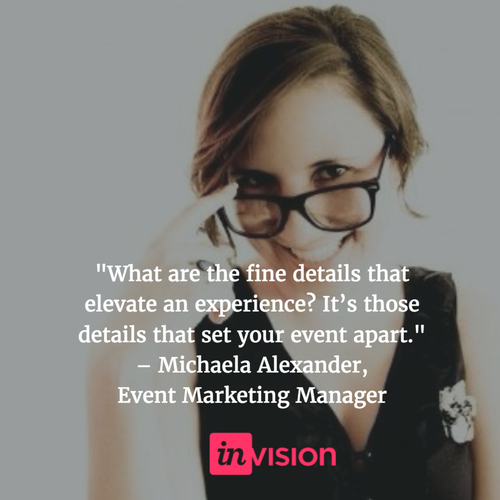 The scope and breadth of InVision’s events present a particular challenge for an event marketer. 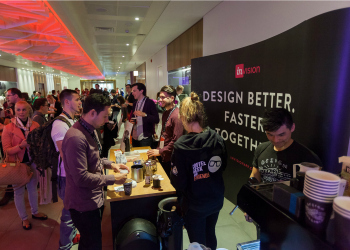 Not only do InVision events take place all over the world, they also come in many different types. They visit all the large design and tech conferences. For these, Alexander uses a custom booth designed to evoke the feeling of a high-end coffee shop, and she joins her field team to brew cups of local, high-quality coffee for booth visitors (while chatting about design, of course!). They also organize their own thought leadership series called Design +, which Alexander explains as looking at the “intersection of design and different verticals,” such as designing for social media or why venture capitalists invest in design-driven companies. They also organize smaller networking events and dinners in cities across the world on a monthly basis. All of these events require not only a high level of coordination with outside vendors and venues, but a lot of internal coordination, as well. Alexander wasn’t necessarily looking for a dedicated event marketing platform. 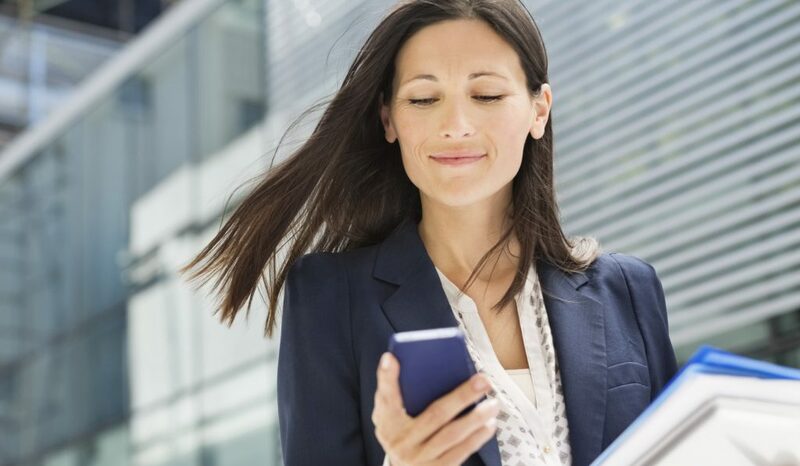 She leaned on her own organizational skills and worked within the company’s existing project management tool, even though it wasn’t designed for events. When she connected with EventGeek, however, she knew she’d found something that could make her life far easier, and improve the way InVision planned and measured events. “My reaction [to EventGeek] was, ‘This is amazing!’” Alexander laughs. In the same way that InVision is a powerful tool for intuitive design collaboration, EventGeek helps the company collaborate on many levels to produce consistently excellent events. Planning complex events involves a lot of coordination on many different levels. Event marketers need to work with internal teams, external vendors, and get buy-in from several levels of leadership. Not everyone should have the same level of access or experience inside an event planning platform. Create live experiences the InVision way. Learn from experiential marketing masters in this free guide. Alexander particularly likes the way she can customize how she uses EventGeek with different people. With her own field and event marketing team, Alexander can dive into every single detail of every single deliverable, organized in an intuitive way that’s designed to match how events are actually planned. Team members who might have stored information in notebooks can now use EventGeek to make sure everyone’s on the same page. Alexander also particularly likes a couple of EventGeek’s standout planning features – the ability to live-track shipments and flight information. “Having the travel update immediately with flights that are coming in, and to not have to go to the Fedex website where I used to spend hours tracking down packages is phenomenal. It’s such a time-saver!” she says. She’s also able to plan tasks with other teams without overwhelming them. “You don’t necessarily need your cross-functional team to see the catering and the load-in times and the tracking number for the flag that’s coming,” Alexander says. The biggest factor in Alexander’s adoption of EventGeek at InVision? The ability to calculate the true ROI of InVision’s events. “That’s what I’m really excited about with EventGeek,” Alexander says. “For the first time, I’ll be able to say, ‘Okay, here’s our budget for this,’ then pop over to our dashboard and show the results three months down the line and what worked for us. “That’s the biggest challenge. Event marketing is a big part of brand experience, but you want to make sure you’re driving revenue through it – and doing that in an authentic way and showing the touch points." Tracking individual deliverables and event marketing tactics back to specific events gives event marketers and C-suite leadership the ability to calculate ROI, benchmark against prior events, and put their event data into context. As Alexander’s busy summer continues, she continues to be excited about incorporating EventGeek’s features into her event marketing. “I’m super excited that EventGeek is really looking to build a tool that is extremely useful for us,” she says. Alexander lets InVision’s innovative projects like the Design Disruptors film and products that are beloved by designers drive her event marketing. “Normally...your event marketing objective is about trying to make your product cool. The challenge for me is that with InVision, it’s almost about trying to keep up with how cool the product already is,” says Alexander. She also keeps tabs on the next big innovation that’s coming down the line, staying in close contact with product designers and InVision leaders so she knows how to incorporate products into the InVision event experience.